Welcome to such an exciting time in your life! Adopting or gaining custody of a child/ren is exciting but can be very confusing. Why is _________ part of the home study process? Do I have enough money to adopt? What if I have _______ in my background? Are there new adoption laws/policies of which I should be aware? How do I deal with my son/daughter’s behaviors after the social worker is no longer involved? Where can I go for help for my children if needed? These questions and more are answered on the alsocialwork’s FAQ page and/or often covered on this blog. This blog will cover various topics related to the adoption home study process, adoption, child custody and much more. As I know of various trainings, speakers, conferences, book ideas, etc, I will be sure to post them. If you are a former client, this site will benefit you. If you are searching adoption agencies and home study providers in Alabama, this site will benefit you. If you are having problems as you begin your adoption, this site will benefit you. If you are just simply passionate about children, I am pretty sure this site will benefit you as well. I am also a notary public in the state of Alabama which helps in facilitating birth parent interviews for courts, lawyers and those involved in the adoption and birth parent process. However, my main passion is to help educate and prepare families for a lifetime of fun. I think that is the way I would like to look at it. Fun does not always mean easy. That is why we take this journey together. Regardless of why you are reading this blog, I thank you for checking it out! Please like alsocialwork on Facebook and take full advantage of this informational opportunity. You and your family deserve to know this information. May God Bless you on such an awesome journey! 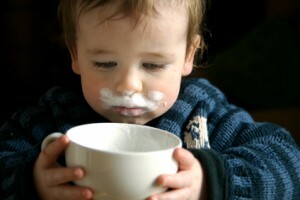 Gotta love that milk mustache.